After you have selected your tickets and clicked the checkout button. The next screen will prompt you to enter a promo code. The promo code field will only appear if the event has an active promo code or discount code. 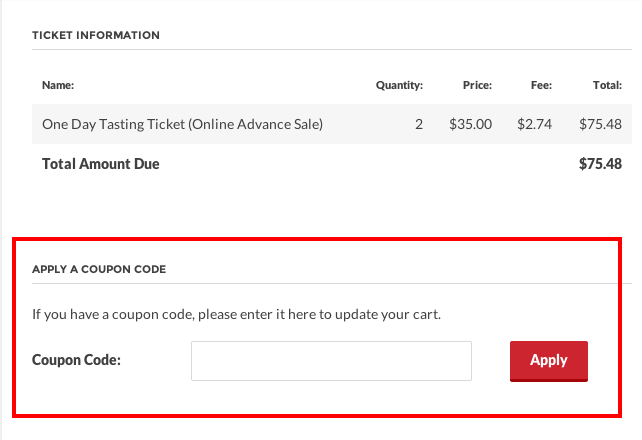 After you enter the code, the discount will automatically apply to the tickets in your cart.